Wanna show a bit what kept updates here back the last year. 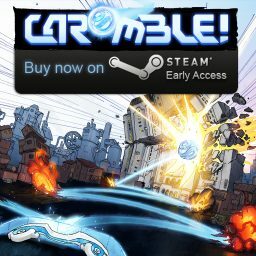 Our little indie team is moving towards the finish line on the Steam game Caromble! 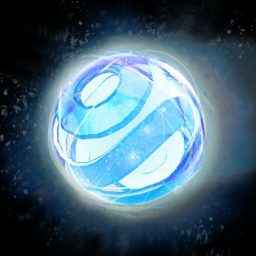 We released the first chapters on Steam Early Access – meaning the game itself is still work in progress. We’re now starting doing the commercial chapter of Caromble! We have test-levels so far, that show the puzzle ideas we’ll use. But they need a lot of tweaking. Not just for the gameplay, but also for the art. 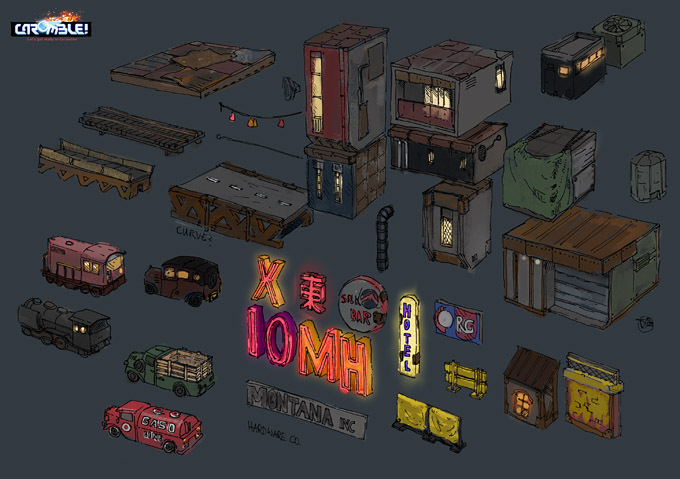 These are all the items in concept stage. In the next step I started planning the names. Over the above concept I just planned the file names, so there is an overview and also consistency. Then I did the first 3D meshes, using the names – but they don’t resemble the art much more than in size. And that’s the “dummy-state” they are in right now still. It’s a common practice to do called Prototyping. That way ideas can be tested without spending big production time which then might be scrapped if the ideas don’t work out. 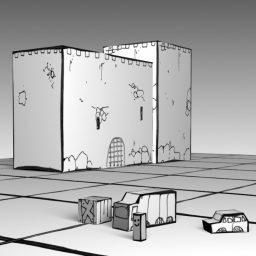 This is the earliers blockout stage – just using literally a block shape and some texture from another mesh. Not a beauty – but quick to do. After the basic usage was tested in the game, I made a better mesh – and created an UV texture mapping (with a checkered UV test texture). Then I used an earlier concept to drop in a very basic texture blockout. This will represent the final result much better – but a real texture with normal map and other effects still has be created. There is work left to do on this asset – but once our team tests this in the new levels, I can much better tell if the idea works. All those steps help previewing the result without committing too much work too early. 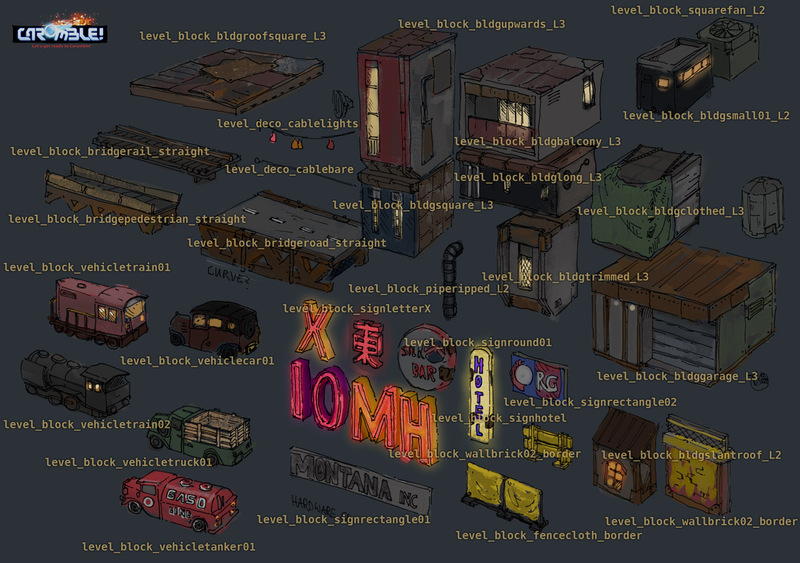 And there are still quite some assets to go over – to keep track I place them on colored blocks. 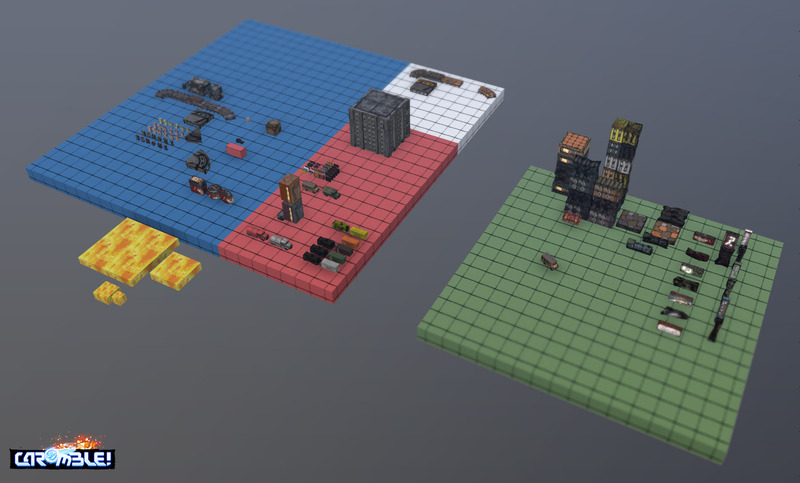 The Commercial-Area assets on color-coded floors for easier working. Blue for the ones that are still in the early blockout stage. Red is for the ones that still need the final texture pass. And green is for completely finished assets. 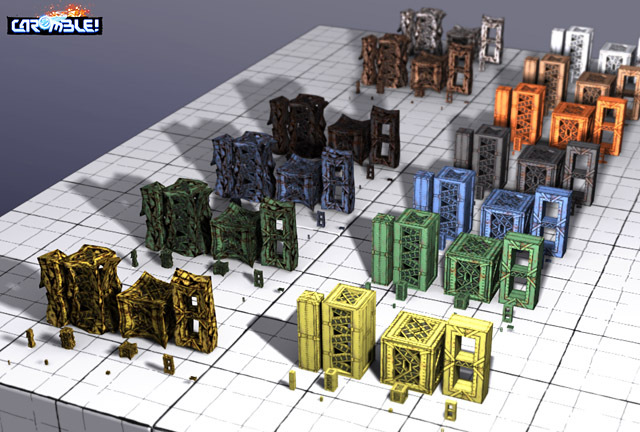 A set of final meshes – with color variations for nicer looking levels, and an added destruction set (that is afterall what you’ll be doing to these in Caromble! ).